ST. LOUIS — Sunday is Penguin Awareness Day, and St. Louis has one of the best places in the U.S. to experience these beautiful birds. 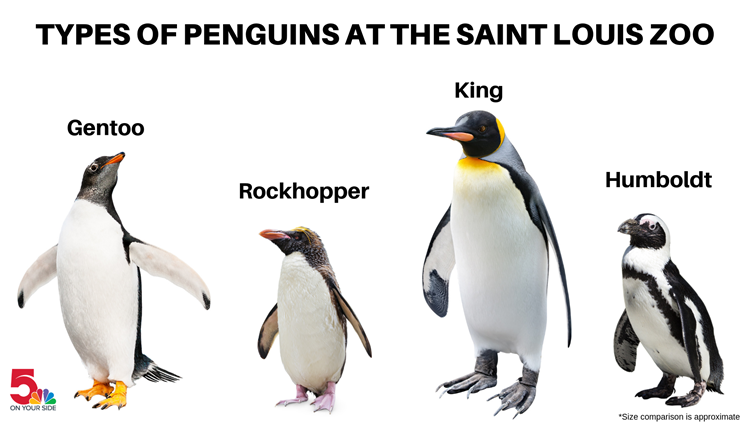 The Saint Louis Zoo is home to four different species of penguins, plus two types of puffins. Visitors can get face to face with the birds inside the chilly Penguin & Puffin Coast. You might even get splashed by a playful penguin. Visitors have been treated to an extra special encounter with the penguins this winter. Zookeepers have been letting some of the penguins waddle their way out of the exhibit and onto the outside walking paths to enjoy the cold weather and flurries. Click here to watch our video of the penguin parade. There’s another treat awaiting penguin lovers at the zoo this winter. A King penguin couple recently welcomed a new chick. Nathan (dad) and B.B. King (mom) welcomed their baby on Dec. 1. Penguin keepers will be able to tell if it’s a boy or girl sometime in March. The Saint Louis Zoo’s popular exhibit features Gentoo, Humboldt, King and Rockhopper penguins.